SAREMO I PRIMI A METTERE UN REGALO SOTTO IL TUO ALBERO OMAGGIANDO TUTTI I PRESENTI, SINO AD ESAURIMENTO,CON LA BEARDOC BAG!!! IN CONSOLLE ANDY J E SILVER DJ .DANCING IN THE DARK DJ LAMBERTO. 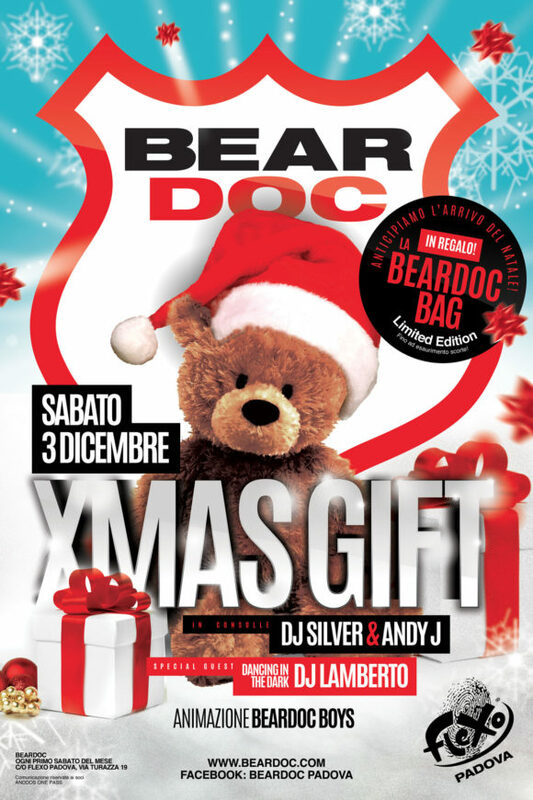 ANIMAZIONE DI BEARDOC BOYS CAPEGGIATI DA STEFANO C.
SEMPRE VALIDA CONVENZIONE CON HOTEL BIRI AND B MEDOACVUS!